HART F.R. 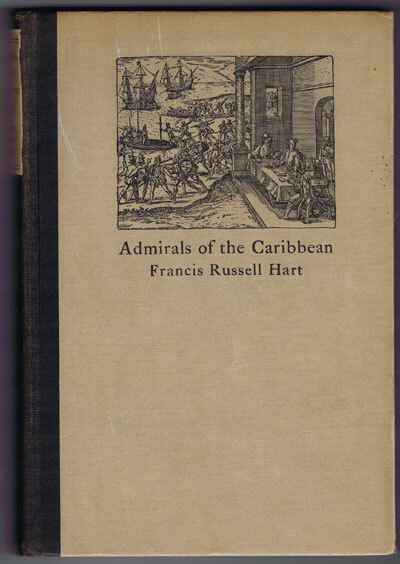 Admirals of the Caribbean. x + 203pp + plates. Fine in original pictorial boards. 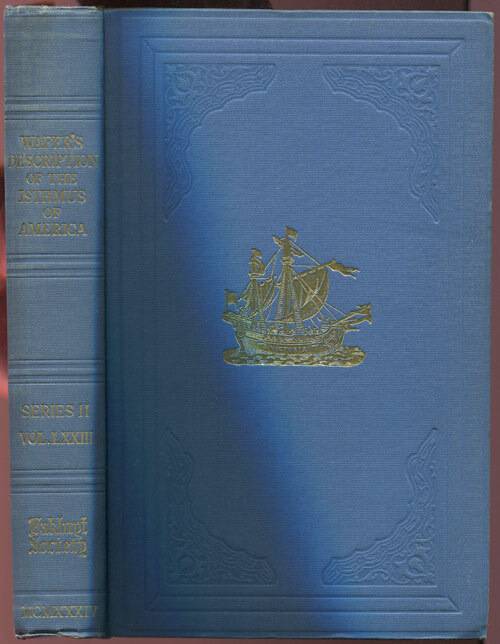 lxxi, 221pp, 4 foldout plates, 4 folding maps including 2 coloured, index. 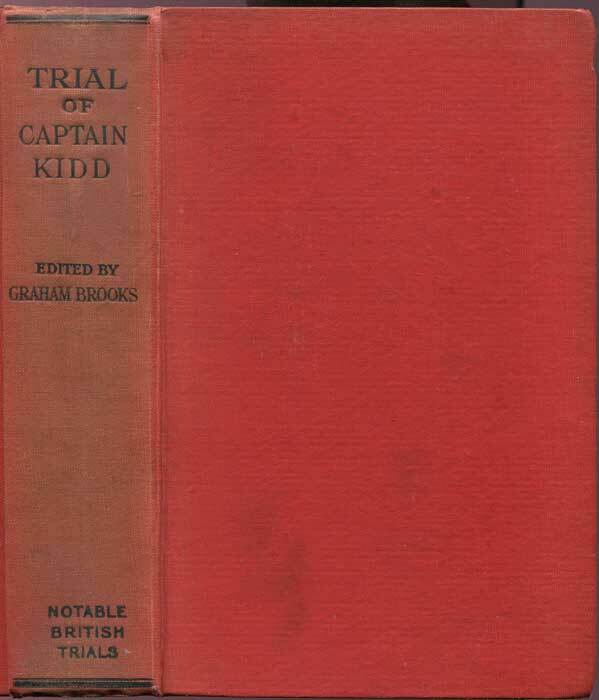 Very fine in slightly faded original pictorial cloth. WINSTON A. No Purchase, No Pay. 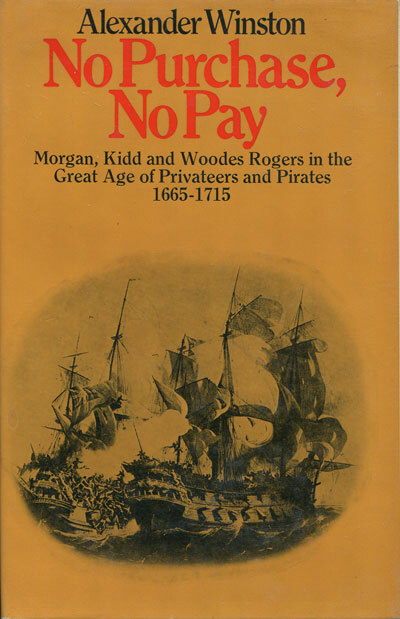 - Sir Henry Morgan, Captain William Kidd, Captain Woodes Rogers in the Great Age of privateers and pirates 1665 - 1715. 265pp + plates. 1st U.K. ed., clean in D/W. BURNEY J. 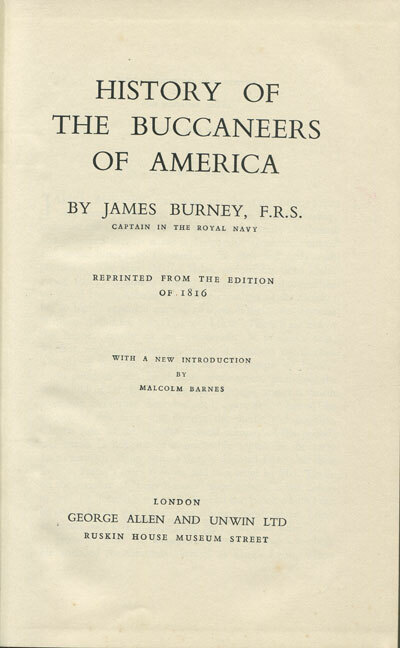 History of the buccaneers of America. 382pp. 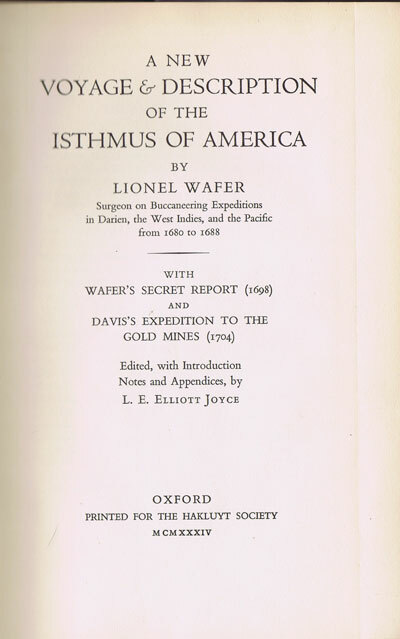 Reprint of 1816 ed. Fine in worn cloth.